Telenor India, the wholly owned subsidiary of Telenor Group, has introduced new Unlimited Calling & Data packs for its customer across all its 6 circles – Andhra Pradesh & Telengana, Gujarat, Maharashtra, UP East, UP West & Uttrakhand and Bihar & Jharkhand. Just like Unlimited Data Plans from other operators, these recharges or packs offer 1 GB data/day along with Free Unlimited Calls (with FUP), data beyond 1GB would be throttled. Telenor has launched 2 Plans just like incumbents, one plan offers Unlimited Calls to Telenor only and the other plan offers calls to other operators with FUP. 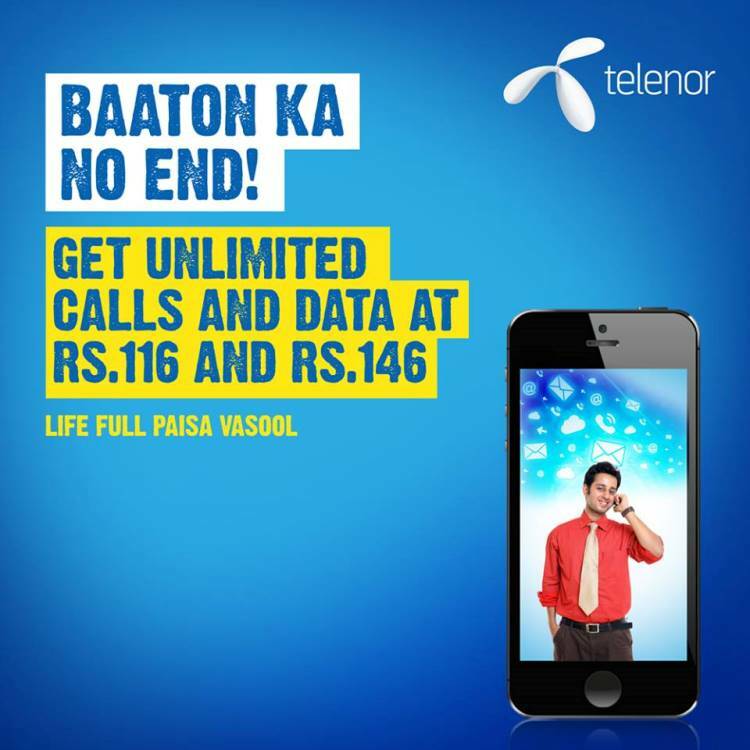 The first Unlimited Calls & Data Plan is priced at Rs 116 and it offers Unlimited Local & STD Telenor to Telenor Calls along with Unlimited 4G/2G Data. The other Unlimited Calls & Data Plan is priced at Rs. 146 and it offers Unlimited Local & STD Telenor to Telenor Calls along with Unlimited 4G/2G Data and free minutes to make calls to other operators. Both the plans comes with a validity of 28 days. Telenor is also offering Insurance worth Rs. 50,000 to all its prepaid customers opting for these plans. The Fair Usage Policy for making calls to other operators for Plans 146 is 400 mins for AP & Telangana, Gujarat and Maharashtra & Goa Circles and 300 mins for Bihar & Jharkhand, UP East and UP West. Please note that these plans would offer the above mentioned freebies only & only if these are recharged on Mobile Site or Telenor India App only. No as of now no such plan is available, we will update it on our blog once it is available.